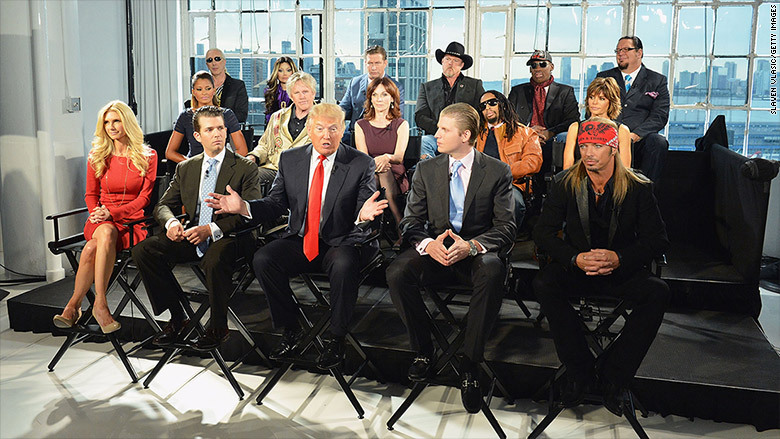 President-elect Donald Trump's financial arrangement with "Celebrity Apprentice" could provide him with a cut of the money generated by NBC's product integration deals for the show, a Hollywood source with direct knowledge of the arrangement told CNNMoney. For years, Trump has received a portion of the revenue from the show's product integration deals, the source said. If that arrangement is still in place, it is now a potential avenue of influence for companies that want to get the ear of Trump and his administration, and presents a thorny situation for Comcast/NBCUniversal, which controls the deals. "If an advertiser wants to curry favor with Trump, that's the way to do it," the source said. That could include brands owned by foreign companies; private equity firms, which have done deals with the show before; or defense contractors that also produce consumer goods. Any company like these might have a vested interest in getting in good favor with the 45th President of the United States. In reality television, product integration refers to deals in which advertisers pay to place their products in a show. When contestants on "Celebrity Apprentice" are tasked with directing a commercial for a new OnStar product, creating a retail strategy for LifeLock or repackaging Omaha Steaks, that is product integration. In 2011, Ad Age reported that advertisers were paying between $5 million and $9 million to get their product integrated into a single episode. The source could not confirm that the terms of the arrangement had not changed. NBC, the network that airs "Celebrity Apprentice," did not respond to requests for comment. MGM, the company that owns the show, declined comment. Trump will also retain his executive producer title on the show and, if the deal has not changed, will receive a fee for every episode that airs. As structured in the original arrangement, NBC pays the production company for rights to broadcast the show, and the production company pays the executive producer fee to Trump. There was one agreement covering both "The Apprentice" and "Celebrity Apprentice," the source said. If that deal is still in place, the companies buying product integrations on "Celebrity Apprentice" will be indirectly paying money to the President-elect. The Trump campaign did not respond to a request for comment regarding the product integration revenue. In response to a previous inquiry about Trump's executive producer credit, Trump spokesperson Hope Hicks told CNNMoney: "Mr. Trump has a big stake in the show and conceived of it with Mark Burnett."